Learn from your peers and make valuable connections. With over 25+ Member Companies with Over 75 Active Members, the IMF is the only membership organization in North America working to advance ingot production technologies. A group at the University of Pittsburgh created the Ingot Metallurgy Symposium. Participants and the annual symposia decided that they would like to meet more often than once per year and from that decision, the IMF was created. To advance processes and technology in ingot making. Coming together to share information and knowledge about the industry is the only way to advance. The IMF Room Rate is $109 per night. Come Together to Solve Problems IMF provides a forum to exchange information between ingot producers, suppliers of materials, and technical experts. Connect with Costumers and Suppliers Our Meetings & Events allow our members to create a greater number of opportunities to discuss matters pertinent to ingot metallurgy. Submit topics for a round table discussion among your peers. Everyday we encounter safety issues, environmental concerns and operational challenges that challenge our productivity. Maybe there is a better way to do things. Has someone else tried it? Learn from your peers and make valuable professional connections! Ready to Become a paid member? Apply for your IMF membership and get access to our member resources site loaded with useful functions like a Resource Database, A Discussion Forum & other useful content that allow members to stay on the cutting edge of the advancement of technologies in the industry. But that’s not all, when you join the IMF you will also get the most amazing member support around! 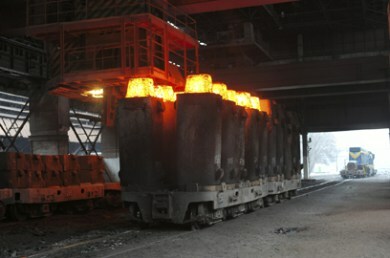 © , Ingot Metallurgy Forum All Rights Reserved.